While T-Mobile is still clearly gung-ho about getting into the TV game, a year-end blog entry confirms that plans for the service's deployment will have to wait until 2019. It has been slightly more than a year since T-Mobile CEO John Legere announced the company was working on its own TV service, and he promised something "disruptive." Since then, some of the carrier's plans have taken shape with the acquisition of Layer3 and a set top box that stopped by the FCC. However, Bloomberg reports that Tmo has delayed launching the service this year. It turns out streaming TV is pretty hard to get right. According to Bloomberg's sources, the company hasn't yet devised a unique offering. We already have services like YouTube TV and Sling that let you stream channels. 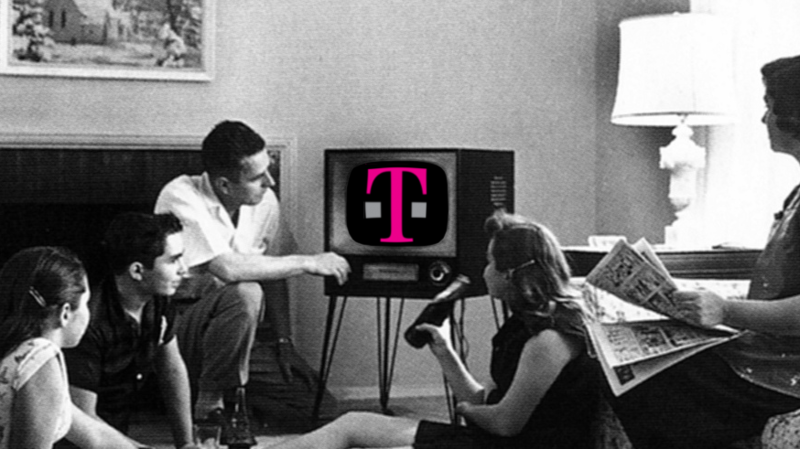 Rather than launch a TV streaming service without anything new, T-Mobile will wait until next year. That will allegedly allow the carrier to bring something "groundbreaking" to market out of the gate. At least part of the delay is thanks to cautious content owners. T-Mobile's acquisition of Layer3 gives it the technology to beam TV to your home or mobile device, but it has been slow going to secure mobile distribution rights for its programming agreements. This all comes at T-Mobile is also busy preparing for the Sprint merger. It recently secured US security panel approval for the deal, and a TV service may actually help its chances as the Justice Department wants to see more competition in the cable industry. While T-Mobile is still clearly gung-ho about getting into the TV game, a year-end blog entry confirms that plans for the service's deployment will have to wait until 2019. Honestly, that seemed like an inevitability by this point, but at least now we have it straight from Legere's mouth. Even with our sights set squarely on 2019, that still leaves us with a lot of possible launch territory, but a new report attempts to add a little specificity to all this talk of delays, and suggests that T-Mobile will introduce its TV offering no earlier than Q2. Hopefully we'll be able to narrow that down a little further still as we get into the new year and begin to hear more about the carrier's cable-killing ambitions.